Pat Monahan - Rocktopia – On Tour This Spring! 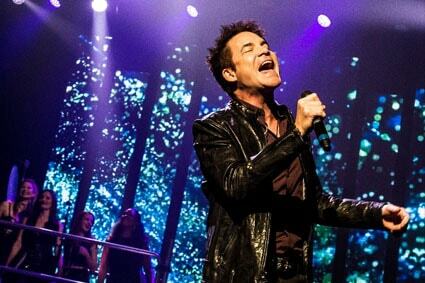 Grammy Award-winning and multi-platinum-selling lead singer of Train, Pat Monahan, made his Broadway debut during the first three weeks of Rocktopia’s Broadway run from March 20 – April 8, 2018. As founder and lead singer, Monahan has led Train to great success. The band has sold more than 10 million albums worldwide and more than 30 million tracks, with multiple platinum/gold citations, including 3 GRAMMY awards, 2 Billboard Music Awards, over 13 songs on the Billboard Hot 100, and dozens of other honors. As part of ROCKTOPIA, Monahan performed multiple songs throughout the show, including Kashmir by Train’s favorite band and musical inspiration Led Zeppelin. Regularly covering Led Zeppelin music in live shows, Train recorded a cover album of Led Zeppelin II in 2016. In addition to Zeppelin and other artists, Monahan performed a special encore performance featuring a hit Train song merged with a classical composition.